Are you someone looking to start a new business? You must be, otherwise you wouldn’t be reading this text. Like millions of people out there, you must have a really creative new project that you want to put out there and that you feel will make you lots of money. This project can either be a product you want to sell or a service you want to offer. However, the idea is just one part of the game. 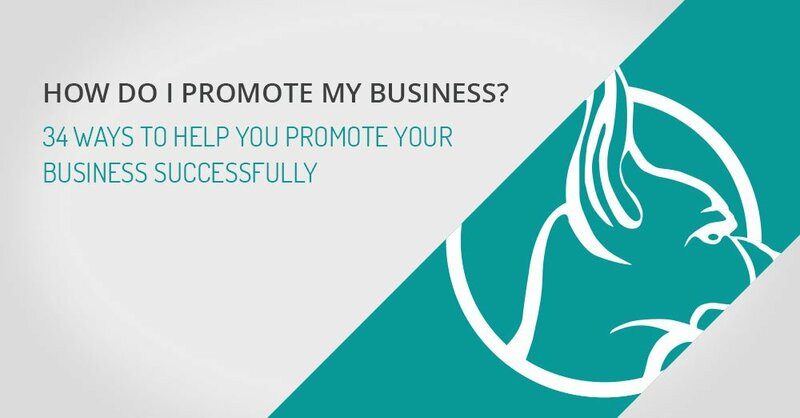 Sure, starting your business is what matters, but to promote your business is equally important. You should feel lucky that you live in an age where the internet is a thing. In earlier times, business owners had to rely on advertising or PR firms, which cost a lot of money. This is an issue that even large, established businesses have. But it’s one that becomes especially harsh for newcomers who cannot even get their footing in the world of business. Luckily, the internet exists, as well as other useful technology to go along with it. Lots of small businesses are popping up everywhere, and they can talk directly to the customers. What’s more, they do it for free. And you can, too! There are countless ways you can market your private business. Some of them include advertisements, word of mouth, commercial material, social networks, and so on. There might be a few that can cost a lot of money, but more importantly, there are also those that you won’t have to pay a single dollar for. This text will offer you some useful tips and tricks so that you can promote your business at nearly no cost at all. Do you work in marketing and PR? Good, you too will want to pay close attention to what this article has to offer, as it might improve your own game. People need to recognize your brand. Which, logically, means that you first need to create a brand that is recognizable. This might seem like an easy task, but it most certainly isn’t. Remember, others have to love your brand emough that they will willingly spread the word. Creating a brand, then, will include creating a logo. There are professional designers out there who can do this for you, but their services can be expensive. You can do one of two things here. First, visit websites that employ freelance designers. They will make your logo at a fraction of the cost, and you can even employ them later for future projects. Alternatively, download any free logo and image creation tool from the web and give designing a go yourself. The logo itself doesn’t have to be perfect, just recognizable. You can always switch it around later, once your brand picks up speed. In the early days of the internet, website creation was expensive. However, now you can visit any web page creation site and learn how to do it yourself, either for free or at a small cost. In fact, most professional YouTubers will often promote such websites, considering they themselves use such services. Getting on a website that offers web page building tools is simple. They normally give you ready-made templates that have lead-generation features, logos that cost nothing, and so on. You first need to check that the metadata for your website is correct and that it falls under the guidelines of Google Webmaster. Once you do, make sure your website looks great. A decent web page must look pleasing, be easy to access, and if you can get it to work on other platforms, such as smartphones, you’ll have a definite winner. If and when you can, promote your web page outside the internet itself. Merchandise with the company logo, phone number, and web address will help this along. Think in terms of T-Shirts, badges, printed media, etc. Promotion and Google tools go hand in hand. For example, you can make an account on any major platform of this company, such as Google Business, Google Places, and Google+ Local. Of course, your business might end up in the browser’s registry anyway, but having these specific accounts will definitely increase the traffic. In addition, Google offers these services for free, so why not take advantage of this? With these Google tools, you can manage the listing information you have. This information includes a description of your business, details of your product or service, videos, pictures, and offers. If you’re listed in a local directory, you can increase the amount of trusted inbound links that appear on your website. This step is very important. Even if your website looks great and has everything you need on it, it won’t matter if people cannot find it on a search engine. Optimization is a must! However, it won’t be enough to optimize it only once. If you want it to pop up on every search engine out there, you must optimize it regularly. Keep your statistics in check and tweak your site according to them. Furthermore, you should update it as often as possible with content that’s keyword-laden and SEO-checked. Don’t forget to build decent backlinks to the page. As we’ve stated, making a mobile-friendly web page will definitely help you promote your business. However, that’s not enough. Every firm or company worth its salt will have a mobile app to go with their web page. Nearly everyone who is employed has a smartphone, and having a company app will get you closer to your user base. In addition, the app will increase the visibility of your project to anyone who’s interested, all the time. It will also provide you with loyal users that will both enjoy and share your products or services via smartphone. From business moguls to everyday blue-collar workers, everyone has a social network profile. Some of the more popular ones include Facebook, LinkedIn, Snapchat, and Twitter. Nearly every successful businessman has a profile on these networks, and you should do it, too. Before you make a profile, however, you should describe your business well. The description ought to have keywords related to your field of work, as well as the link to your web page. You might want to join some online groups and discuss the services or products you plan to sell. Make sure not to spam them with your offers, as this can bore people, and you might lose potential customers. If you plan on using Facebook, make a page for your services. You will use this page to put up new info and offers, photos and promotional material, details of events that you plan on hosting, etc. Next, you’ll want to make a Twitter profile for your business and interact with people directly. Twitter is great for building “fanbases,” and both old and new customers will be able to get a hold of you faster there. However, as with online chat groups, don’t spam with your product. Instead, talk to your customers, both potential and long-term. Note their wants, needs, and suggestions. Get to know them more openly, as it will help out your brand a lot. Pictures can go both on your Facebook and your Twitter profile. But, for a more efficient approach, try Instagram. It will provide you with all the tools to make your pictures stand out. If you want to connect with more professional individuals and companies, maintain a LinkedIn profile. It will present you as a legitimate businessman or businesswoman and link you to experts who might help you move along with your career. Finally, let’s talk about YouTube. 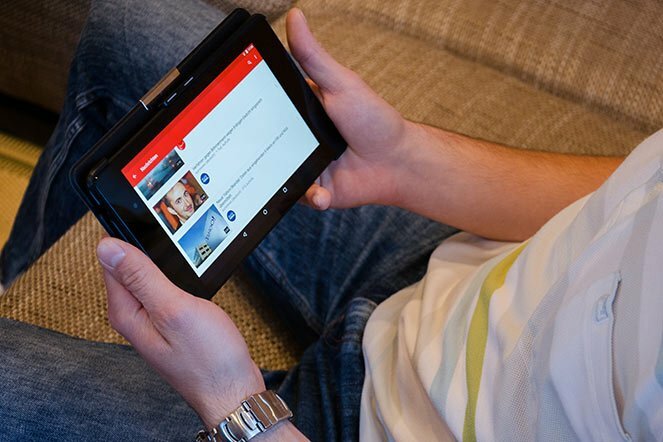 YouTube is a video service which has launched the careers of thousands of entrepreneurial people in the US alone. Making a YouTube channel just for your business will help you boost sales and increase your customers. This is another great way to keep in touch with your potential clients and co-workers. What you should do is have an e-mail signup form right there on your website. It will give you amazing results. This is also something you must do when you’re building the website itself. There are no better ways of learning how good your services are than customer reviews. In fact, entire businesses, like Yelp, grew out of customer reviews. Make sure to allow your customers to have a voice. It’s important that they leave both positive AND negative reviews. That way you can see what you can improve and advertise what you’re good at. If teenage girls or comic book enthusiasts can have successful blogs, why can’t an aspiring business entrepreneur like you? After all, it has all the benefits of a social network and a personal web page. If you create and maintain a blog properly, you will get plenty of customers. Also, regular updates will keep your regulars where they are. Blogs are excellent for posting updates and creating new, engaging content. 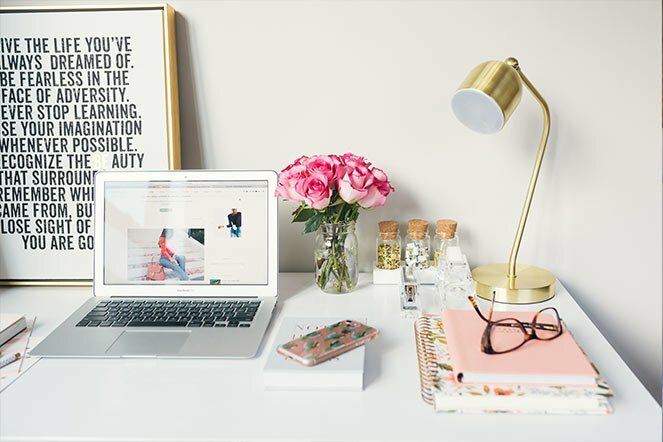 Naturally, you’d have to pay for certain photos to use on your blogs, but there are always websites that offer free stock photography to aspiring bloggers. This step is great for offline advertising. Many yellow pages directories are free of charge and get yearly updates. Not to mention that they will wind up in millions of homes. Most have online versions nowadays, and if you want to advertise both digitally and in print, you can work out a deal with them and pay less. Of course, this is how the big companies do it. They advertise in national papers, weekly or monthly magazines, on radio or television. However, your business is just starting out, so a local paper will do. Having the URL of your web page on a letterhead or a business card will help you advertise as well. Do you want to list your business’ web page onto popular search engines? Use Google AdWords. You can use it until you improve the regular, organic rank of your website in those free listings you’ve chosen. If you don’t feel comfortable paying vast amounts of money for this service, you can just set a monthly spending limit. This way you can control what you spend using Google AdWords to promote your business. This option also comes with limited-time free vouchers. Naturally, it’s impossible to constantly create new content. Even the most creative businesspeople can’t do that. That’s when you repurpose, but even then you need to be creative. Whatever content you might have, try repackaging it a bit. When you do, promote it via different channels. That way you can increase the marketing reach of your service. A good way to do this is to use textual content and turn it into an infographic, or a short video. 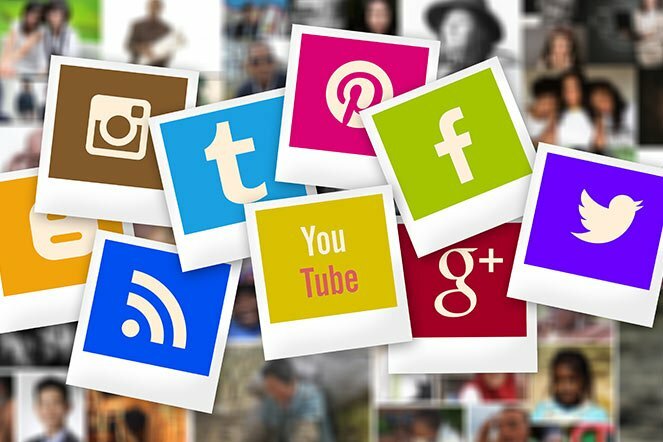 You can even use your vast social network platforms to promote the repackaged content. Traffic to any website is good. However, that traffic must be converted into leads. Otherwise, you’re not converting data into customers. One way to fix this is to have a decent call to action prominently stand on your website. A step further would be having it on all other promotional material. If these calls to action are vividly displayed on your web page, you’ll get your conversions quickly and more frequently. You’ve seen these – promotional pens, pencils, lighters, USB Flash drives, even candy, all using the name of a business. There are lots of reasons for this. First off, people need stationery, which is why companies opt to use it as promotional merchandise. Second, it’s a great way to advertise with children, even if their parents are the target audience you need. Print your logo and brand name on these, and distribute them wherever you can. Some businesses even print out their entire addresses, which you can do once you get bigger. Outside promotion includes billboards, flyers, and the like. However, small businesses normally don’t do this because of the cost. Don’t let this discourage you. A single, well-placed billboard can boost your business amazingly well. In addition, it costs about as much as a newspaper ad. If you can’t afford that, try advertising with your own car or van. You can drive it around to catch more eyeballs, and it will cost a lot less. There’s a reason we mentioned YouTube. A video presentation is a powerful way to convey a message, especially in business. This way you can show your product “in action,” or offer an instructional video of the services you offer. But, making videos on YouTube is just one part of this step. You should also comment on videos that deal with a similar topic as yours. That way you can get more eyes on your own channel. In addition, other businesses can connect with you, and you can do joint videos or even interchange content for cross-promotion. Sometimes it pays to have someone else promote your business. You can employ several men and women to promote what you do online. When they do, pay them with a sales commission. It’s important to know that you will pay them only when an actual sale is made. The internet is full of these affiliate channels. Each website that deals with this can have thousands of affiliates who are actively looking for a business to promote. That’s perfect for you as a newcomer, because you don’t have to waste time searching for them yourself. Acquire some knowledge of your community and join a civic association. If you do this, you’ll have more chances of promoting your business locally. Cities normally hold meetings with local business owners nowadays. During these meetings, you will essentially “network,” so to speak. Exchange ideas, take note of anything they say and make sure you have your contact info on you, such as business cards. Networking doesn’t stay just within business meetings. You ought to do that with other smaller businesses which work in the same niche as you. They can help you with local customers by way of collaboration and special deals. Keep in mind that the goal is for both your business and theirs to succeed. Cross-promotion and varying options will have clients choose both your businesses. All of this will save you money on promotion, and you can even get important referrals. If you can, offer each potential client free consultations on your product or service. This way you can directly help the client with what they need by merely discussing it with them. Furthermore, they might choose your business so that they can put the ideas you discussed into practice. Even with the advent of the internet, this is still one of the most powerful tools of promotion. Satisfied people tell their friends or family about a product or service they like. This generates buzz, and before you know it, more people are coming to you. You ought to use this to your advantage. When you’re starting up, treat every new customer like a king or a queen. Keep in mind that they will potentially talk to their loved ones about you. A good way to keep them on your side is to have a referral or reward-based system, at least in the beginning. Not only is this a good way to promote yourself, but it can also be a decent side-business. You can teach free classes at some local venues and share ideas with potential customers. Alternatively, sign up and teach at your local Community college. This particular step is mostly for those of you who intend to sell products. If you can, donate them to local charities. In addition, you can donate gift certificates and vouchers for your store. Think of this step as community college teaching, but with less effort. Speaking at local events will successfully show people what you’re capable of. Moreover, you can get new customers from people who might not have heard of your services in other venues. Searching online, you will find these marketplaces that link sellers and customers. List your business there and enjoy how quickly your brand becomes popular. There will be times when you need to give something away. A prize draw, sweepstake, giveaway, and free promo material can get people interested and expose your business in the process. Naturally, you ought to make the prize something your business deals with. When you draft a business model, be sure to implement a strategy about corporate social responsibility. Provide your activities to any stakeholder. That way you encourage them to help you and expand your business. This is a great way to engage the public and do a bit of free advertising. A scavenger hunt, for example, can have people seek out items by traveling to local business venues. This way you can let them know what they have in their community, which products they can buy or which services they can use. A good prize at the end of a scavenger hunt also helps. 30. Do Not Spam. Ever. If you want to promote yourself, be original. When you announce a new product, don’t put up a dry message, or copy-paste an old one. Make sure it’s authentic and eye-grabbing. That way the number of people who are subscribed to your mailing list will not decrease too much. Imagine that you have a product you can wear or readily use. If so, never go outside without it. A decent shirt design will look good on the customer, but if you, as an owner, are wearing it yourself, you’re giving them the message that you have faith in it. After all, you made it, and if you’re comfortable with it, others will be too. A good example would be Donald Trump before he became president. He would often wear Trump ties and other clothing items that had his stamp on them. One more example would be Marvel Comics former CEO, Joe Quesada. During the Disney-Marvel merger, he wore shirts promoting the House of Mouse the whole year long. So, it pays to promote your stuff yourself – it’s cheap and effective advertising, of course. Whenever you can, and whenever it’s convenient, talk about your job. Carry samples of your work and offer them to the person you’re speaking to. Naturally, don’t be rude about it. Keep it natural, but also keep it to the point. Magnificent business deals were made in places such as commutes, pubs, parks, even waiting lines at the post office. Never give up on a good opportunity to promote yourself. Believe it or not, most people still like to read the local small press. If you can, make a decent deal with your newspaper. They will possibly offer you free coverage, and that in and of itself can be worth more than if you paid for an ad. Not to mention it’s local – people nearby will likely trust their judgment more than they would that of a national newspaper. A good way to promote your business is to enter a lot of business awards competitions. If you win one, or even if you’re just shortlisted, you will get the press coverage you need. In addition, you get some brand recognition on a smaller scale. That always helps, especially if you’re the new guy on the block. Bio: Richard Larson is Brand Manager at GoPromotional.co.uk, leading business gifts supplier in the UK. He enjoys sharing business and marketing tips, both online and offline.